One reason for is what is known as the "out-of-network trap." This can happen when the fine print of a patient's insurance allows healthcare providers from outside of his or her insurance network to deliver services. The bills that accompany such services can be shockingly high, even if the care was delivered at an in-network hospital. Mark Rukavina, a health policy expert at an advocacy organization called The Access Project, says this type of occurrence is all too common. In one particularly egregious case in New York State, a man went to the ER to have his finger reattached after an accident with a table saw. 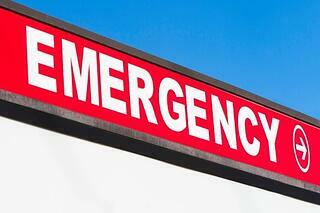 The emergency room was associated with a hospital in the man's insurance provider network. But he nonetheless received a bill for $83,000 from a plastic surgeon who was not part of the network. Unexpectedly high medical bills continue to surprise health care consumers, whether they have insurance or not. Clearly consumers need to become more wary of medical billing procedures, which are often overly opaque. Meanwhile, bankruptcy remains a viable option for medical debt relief. Source: "The $83,000 Finger: Insurance May Not Protect Your From Large Medical Bills"
If you need help with consumer debt defense due to overwhelming medical bills, contact our attorneys today.